High quality seating is essential in any church. Most churches will host a variety of services and other events, and require flexible seating that can be arranged to suit a range of audience requirements. Freestanding chapel chairs can be easily rearranged for different layouts and audience sizes, meaning they are quick to set up and remove. Stacking or folding seating – which is best for your church? Storage space is at a premium in many churches, so your priority should be chairs that are either stackable or foldable. Stackable chairs can be neatly stacked in a storage area and simply brought out when needed. 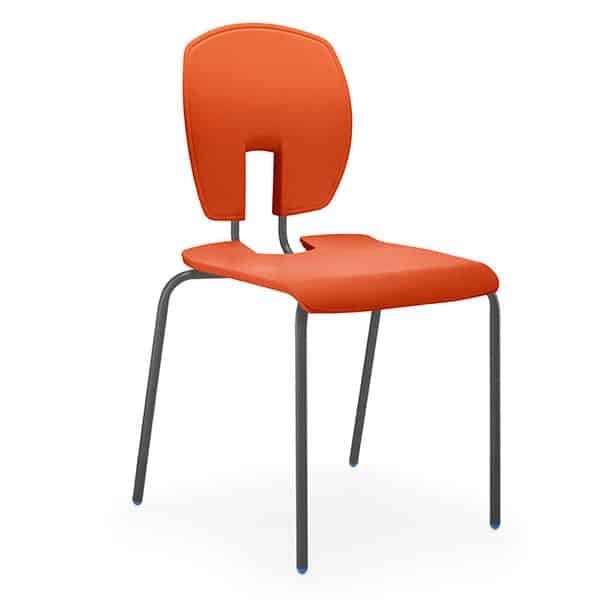 Foldable chairs can be collapsed to minimise the room required to store them, yet provide a comfortable and solid seat when needed. The best chairs for your church will depend on how many chairs you need and where you want to store them. You might even prefer to use a mixture of both, relying mainly on stackable chairs and having a backup supply of lightweight foldable chairs that you bring out for larger gatherings. If you need comfortable seating for very long services or events, you might prefer stacking chairs with deep cushions. Look for chairs that feature quality cushioning on both the seat and backrest, enabling your audience to sit for longer in comfort. Some stacking chairs even feature padded fold-down kneelers, which can be folded up out of the way when not required. This feature provides extra flexibility, meaning the chairs can be used for both traditional church services and other events. Many church chairs feature built-in storage shelves under the seat. This is ideal for holding hymn books, order of service sheets and even kneelers, depending on your requirements. While these chairs are highly convenient, it’s worth bearing in mind that the shelf does mean fewer chairs can be stacked on top of each other due to the additional height. If you’re searching for quality chapel chairs for your church or hall, please take a look at the wide selection on our site. You’ll find an extensive range to suit all requirements and budgets. If you would like advice on the best chairs for your needs, please do not hesitate to get in touch and a member of our experienced and knowledgeable team will be delighted to talk you through your options.